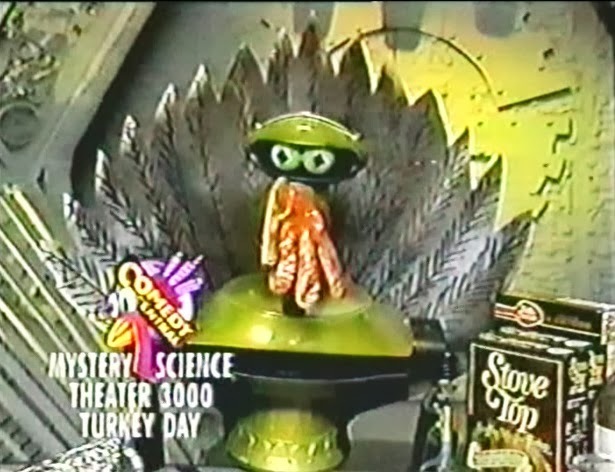 It is a time for family togetherness, counting one’s blessings, and -- yes -- bad movies and Mystery Science Theater 3000. 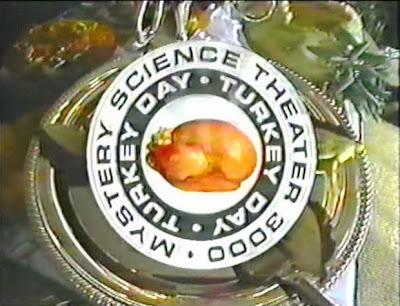 Turkey Day has also featured prominently in many television programs across the decades. Two classic Turkey Day or “Thanksgiving” episodes first aired in the year 1978. On Happy Days (1974 - 1984), the episode “The First Thanksgiving” concerned an historical flashback to an early Thanksgiving in Milwaukee, with the Fonz (Henry Winkler) and other characters playing roles. In more genre-oriented programming, Dexter Morgan has broken bread with another serial killer – played by John Lithgow -- for Thanksgiving on Dexter (2006 - 2013). And Buffy the Vampire Slayer’s fourth season featured an episode called “Pangs.” That episode saw the vampire Spike (James Marsters) sharing the holiday dinner with the Scooby Gang, and was gleefully incorrect in terms of its politics, as the holiday devolved into modern day Californians fighting ghosts of wronged Native Americans. From 1991 through 1995, Mystery Science Theater 3000 celebrated “Turkey Day” with marathons of bad movies. In particular though, I remember the host segments of 1995, wherein Jack Perkins, Mr. B. Natural, Pitch (A devil…) and the Kitten with a Whip showed up to celebrate Thanksgiving with Dr. Forrester (Trace Beaulieu) and his mother, Pearl (Mary Jo Pehl).